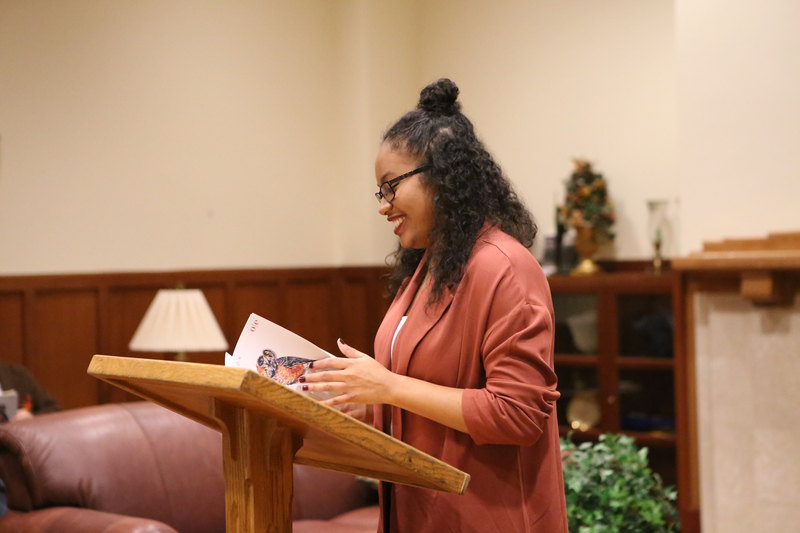 The EOU literary lecture series has promoted literary arts in the region since its inception in the early 1960s, hosting as many as a dozen visiting writers every academic year. Past visiting writers include Czeslaw Milosz, Denise Levertov, Richard Hugo, William Stafford, Robert Creeley, among others. In more recent years, Ars Poetica has hosted readings and workshops by Carl Adamshick, Sandra Alcosser, Sherman Alexie, Christopher Buckley, Kerry Cohen, Jon Davis, Matthew Dickman, Anthony Doerr, Danielle Deulen, Debra Earling, Scott Elliot, Molly Gloss, Garrett Hongo, Marie Howe, Thomas Kennedy, Keejte Kuipers, William Kittredge, Melissa Kwasny, Dorianne Laux, Michael McGriff, Joseph Millar, Lance Olsen, Katrina Roberts, Peter Rock, Primus St. John, Carter Sickels, Mandy Smoker, Jess Walter, Crystal Williams, and many more.